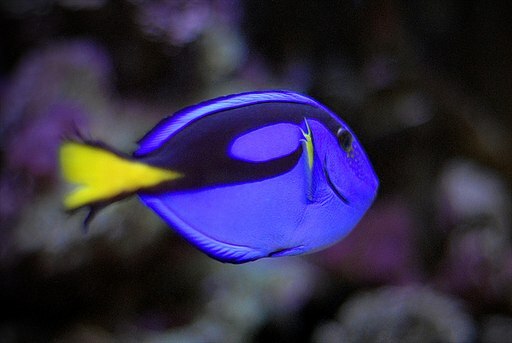 The model of persistence in the face of difficult circumstances, the hilarious and free spirited fish of the vast ocean expanse, the adopted aunt of our lovable Nemo, that Dory? Well she was ahead of her time. Who knew of the wisdom of her sage advice, just keep swimming. Test Diagnostic: The MeasuredTime should not be too close to the precision of the framework. tMatrixLibrary_v2/testSum(TestMatrix=smallSize)               X       Filtered by assumption. tMatrixLibrary_v2/testMean(TestMatrix=smallSize)              X       Filtered by assumption. Oh no Dory, some measurements were invalid! Thanks Dory, you're the best! All our measurements are good. Well the results look good at least. Think about this like you were measuring the weight of a feather using a kitchen scale. Measuring one feather will give you a bunk measurement, so instead you gather together 1000 or more feathers, put them in a box, and measure the whole thing to get a good idea of the average weight of a feather. I had to choose a number of iterations to test against. What's more, this choice was arbitrary. How do I know that I am not right on the edge of framework precision? If so I am likely to experience tests that sporadically are too fast to measure! In addition, the framework precision is machine dependent, so different machines will have different precision thresholds. There is no one good number to go off of so it's anyone's guess. Not comforting. #ohmygoodness was this slow! Why was it slow? Because I had to run 1000 iterations for everything, including the larger matrix sizes. These larger sizes don't need to be run in a loop, but in order to maintain an apples/oranges comparison they need to if the smaller sizes are. This approach falls flat when comparing other algorithms against each other. If one algorithm needs 1000 iterations, but the other only needs 750, we quickly get into comparing apples and oranges and we lose insight into our true performance. Let's say we diligently track our code performance over time, and furthermore we do a bang-up job optimizing our critical code and make vast improvements in the code performance. Well this improvement may require that we "up" the iteration count, since 1000 iterations may suddenly become too fast to measure as a result of our code optimizations and we need to now measure 10,000 iterations. Once we do this however, all future measurements are on a different scale than our historical data. Lame. Finally, and perhaps as a root cause of some of these apples/oranges troubles discussed above, it is simply not the true measurement of the code's execution time. So takeaway, once your code hits the limitations of how fast we can measure something, we can add a static for loop and maybe hobble along, but it's really not the best experience. It is worth noting that this is not a silver bullet. There still is some framework overhead in the keepMeasuring method that prevents us from measuring some really fast code. Think about it like measuring a group of feathers, but if each feather comes individually wrapped in a small packet, there comes a point where we are measuring the overhead of the packet rather than the actual feather. So, while there is still some code that will be too fast to measure (don't expect a valid measurement of 1+1 please), using the keepMeasuring method as shown opened up 2 orders of magnitude in allowable precision in our experiments. Have fun, and like Dory, just keep measuring y'all!